I'm a lover of suspense and Tucker is one of my favorites in that genre. Keep Her Safe is my kind of read, a slow build yet thrilling story bound to keep you hooked until the last page. This novel intrigues you right away. I immediately attached myself to Noah and the whole situation with his mom. He seemed like such a goody-goody who always did the right thing so I wanted to know what was up with his mother and what part she played in a long cover-up that was obviously destroying her mental state. As for Gracie, her gritty character doesn't really come off likable but I understood why she was like that. She had to be tough and wary of everyone who came around her. After all, she and her mother went through a lot, and in comparison to Noah, they didn't have a great life full of opportunities, especially with the horrible picture their hometown and police painted of Gracie's father. The interactions between the two characters were always interesting. I liked that there wasn't anything instant, though, and that it took a while for both to open up. My hope for growth between them kept me reading, but the mystery surrounding Gracie's father also had my interest. Honestly, I knew a certain someone was involved, with how evasive he seemed throughout, but I wanted to understand why and also get clarity on what went down all those years ago. Again, this is a great story with Tucker at her best. I don't want to give too much away, the only thing left for me to say is to give it a read if you're looking for a suspense that's not too fast or overwhelming. It's just right. 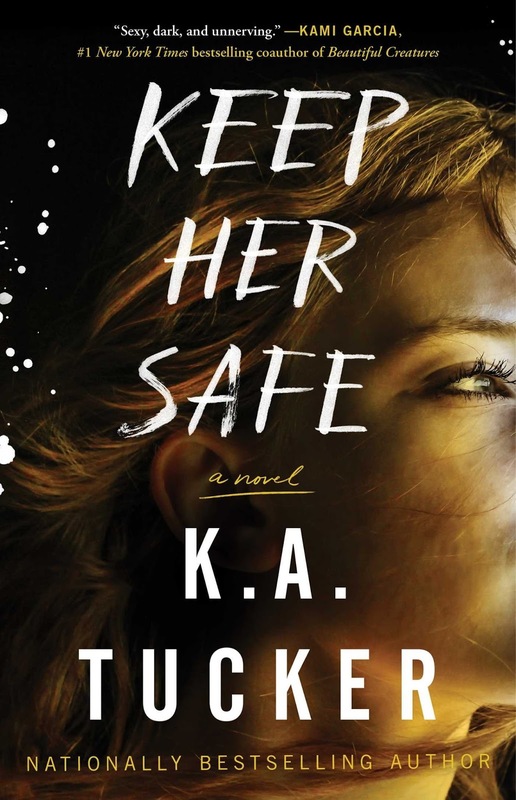 She is the USA Today bestselling author of 16 books, including Ten Tiny Breaths and Burying Water, and her upcoming Adult Suspense novel, Keep Her Safe. Her books have been featured in national publications including USA Today, Globe & Mail, Suspense Magazine, and Publisher's Weekly. I just love Suspense, especially when it keeps you interested from start to finish. This does sound so addictive and thrilling! Great review. I'm dying to read this book. The cover is awesome, too. I love Tucker's work. I really need to get my hands on a copy of this book. You should. It's a really good story. This sounds like one that I would really enjoy. I love the fact that it grabbed you from the very beginning. Great review!